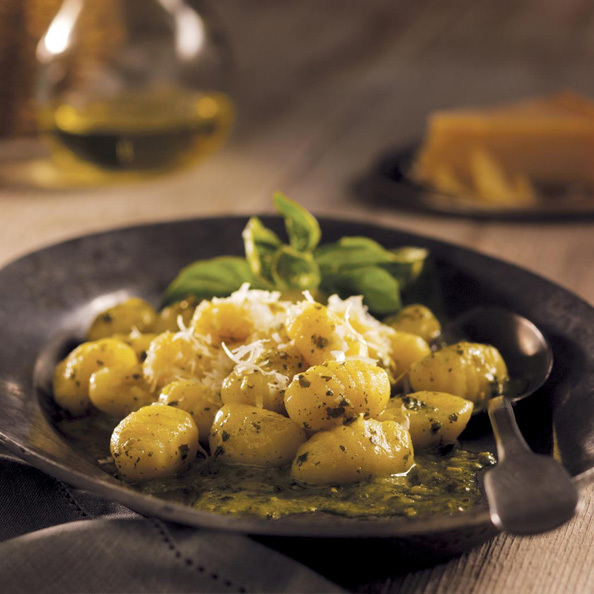 Nothing makes a dish more special than adding a few herbs straight from the garden. 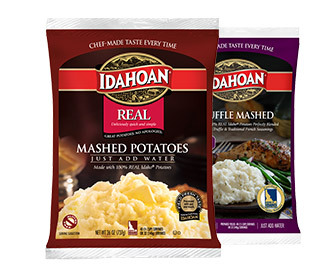 With Idahoan® REAL Butter & Herb Mashed Potatoes, you’ll capture that flavor and feeling in a dish that’s easy to serve up to all of your best customers. 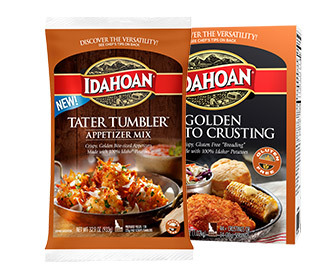 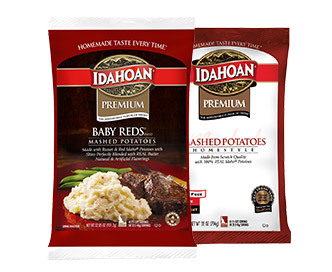 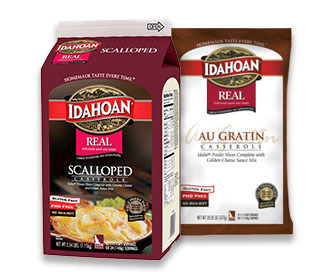 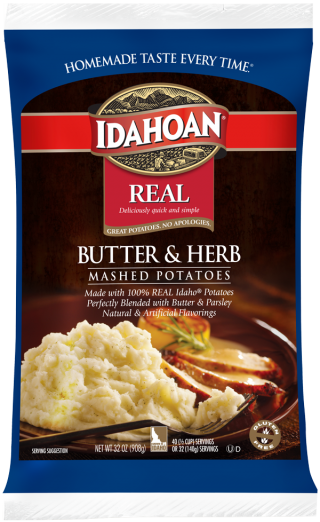 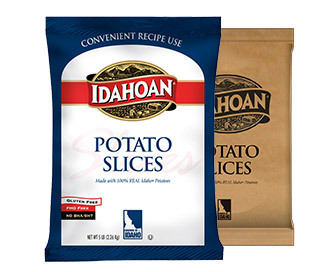 Idahoan REAL Butter & Herb Flavored Mashed Potatoes are processed from sound, well peeled and trimmed 100% Idaho® Potatoes. 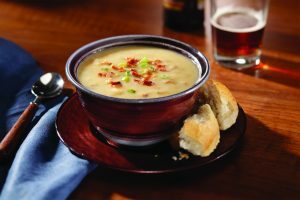 Measure 1 gallon (3.79 L) of boiling water into a 6? 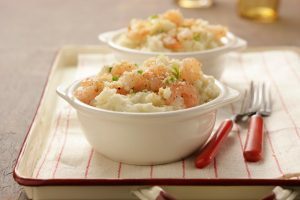 x ½ size steam table pan. 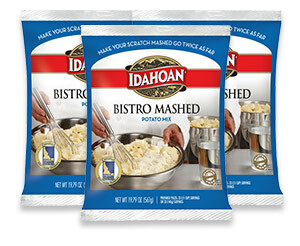 Let stand 60 seconds, stir well and serve. 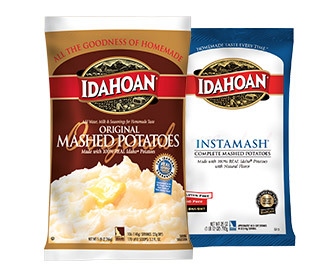 * For creamier mashed potatoes add more boiling water. 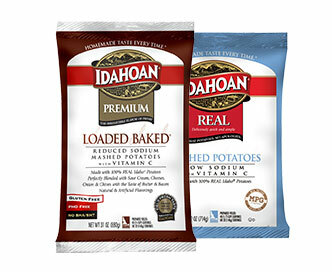 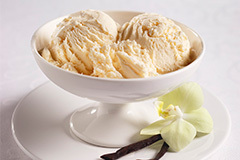 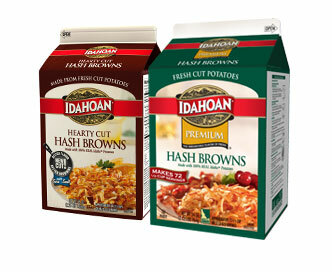 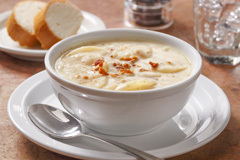 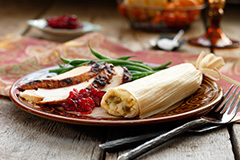 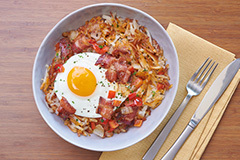 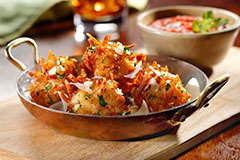 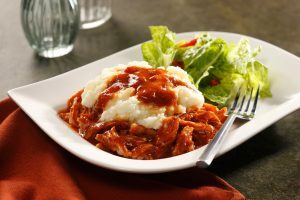 Idaho® potatoes, vegetable oil (contains one or more of the following: coconut, palm, soybean, cottonseed, sunflower, canola), corn syrup solids, salt, whey powder, sugar, nonfat dry milk, sodium caseinate, spice, dehydrated onion, butter powder [butter (sweet cream, salt, annatto color), nonfat milk solids, sodium caseinate and disodium phosphate], mono and diglycerides, calcium stearoyl lactylate, parsley flakes, natural and artificial flavor (milk, soy), sodium acid pyrophosphate (preserve freshness), dipotassium phosphate, artificial color, sodium bisulfite (preserve freshness), disodium inosinate, disodium guanylate, citric acid (preserve freshness), mixed tocopherols (preserve freshness) and not more than 2% silicon dioxide added as an anti-caking agent.